Verbal Commits is thrilled to announce our partnership with ShotTracker, a innovative new tool that keeps track of your shooting. 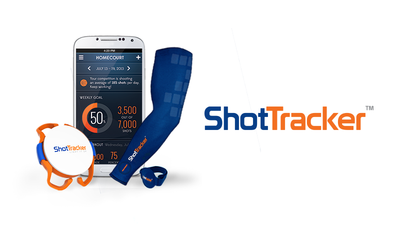 The best part about ShotTracker is that all you have to do is put on a compression sleeve, and add it to your net. The ShotTracker App will keep track of your makes and misses automatically, and let you know your percentages from each spot on the floor. We've been working closely with the team at ShotTracker, and are excited to announce that through our Promo Code: verbalc, you can receive 30% off during the pre-launch of ShotTracker and ShotTracker will also be throwing in Free Shipping. Check out this great intro video from ShotTracker, explaining all the cool details. Frankly we love this technology, and we can't wait to get our hands on our own ShotTracker for our back yard.